5G is the future, so what do you need to know? Faster, more stable, capable of supporting more devices and equipped to handle life in the fast lane, 5G technology is the next wave of networking, and Apple is deeply involved in testing and developing the standard. What does Apple hope to gain and why should this matter to an iOS enterprise? 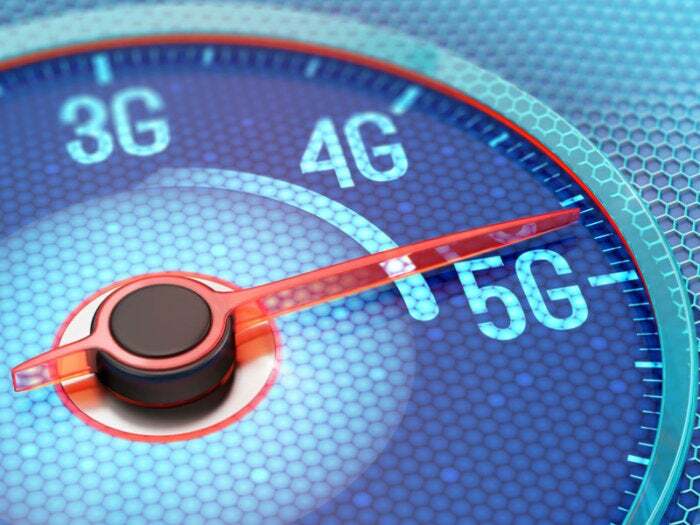 While it is important to note that 5G is not yet ratified as a standard and networks that use the standard aren’t expected before 2020, 5G is touted as the next-generation of wireless broadband. The GSMA has set some criteria, most of which need to be met for a network to call itself ‘5G’. They include 1-10Gbps connections to devices and other end points and the capacity to support up to 100 times as many devices per cell as possible in current implementations. To be incredibly simplistic, 5G should be able to download entire movies in second, will enable high-bandwidth computations, such as gaming, and will be capable of supporting the billions of connected devices expected to be in use by 2025. One more thing: 5G will also be much more stable when used in moving vehicles, such as trains, public transport, and (of course) cars. Apple recently applied for FCC permission to test a new wireless technology, called millimeter wave. The company intends testing transmissions using the standard between two fixed points in Cupertino and Milpitas, CA. "These assessments will provide engineering data relevant to the operation of devices on wireless carriers’ future 5G networks,” its application said. That’s not the only way in which Apple is involved in 5G development. Way back in 2014 the company joined the Next Generation Mobile Networks (NGMN) Alliance, an association of stakeholders from within the industry working to ensure next-gen networks, infrastructure, and devices are compliant. Light Reading last year reported Apple to be hiring at least one engineer with knowledge and experience of “radar signal processing”, which basically means the signals which are used in millimeter wave. Millimeter wave is the band of spectrum between 30GHz and 300GHz which is ear-marked for use by 5G networks. The reasons for Apple’s interest are pretty obvious: not only must the company ensure its mobile products play nice with the 5G standard once it appears, it also seems likely the company understands the strategic value of gaining an early mover advantage once carrier deployments of 5G make hardware products viable. That means Apple doesn’t need to be first to market, but will want to hit the market soon after 5G is made available in key markets: U.S., China, India, Europe, potentially the UK. The capacity to handle high bandwidth activity with low latency and support for billions of devices is alluring enough, but stability in moving vehicles has obvious implications. These 5G stalwarts mean the standard will be able to handle things like mobile virtual and augmented reality services, vehicle-to-vehicle communications systems, and will have pipes plenty big enough to handle the vastly complex data exchange demands of unstructured machine intelligence analytics. We know Apple has interest in all of these sectors. (We also know Apple is now working far more closely with Nokia, which holds so much network knowledge). Consumers should benefit from fast and reliable access to the kinds of services they use their home broadband connection to access today. It doesn’t end there, of course – they can also look forward to next-generation services (such as mobile VR) and solutions we’ve not imagined yet. Provision of powerful mobile broadband also has implications on the Internet-of-things (IoT), as 5G will provide the capacity to support billions of devices without generating undue interference on existing data traffic. Improvements in business agility – you can use 5G as a primary fixed-line broadband replacement, enabling enterprises to “pop-up” whole offices in response to immediate business need. However, the enterprise opportunity of 5G isn’t going to manifest itself until full-scale commercial deployments of the standard begin around 2020. That’s good for IT purchasers looking to extend their Apple deployment, as it means mobile products purchased in the current equipment upgrade cycle (2017-18) will likely be due for replacement by the time the standard appears. This means those C-class execs will likely get their wish in the form of an iPhone 8 when this ships later this year, as even though Apple is evidently working to develop a 5G iPhone, there’s no need to plan for its appearance… yet.